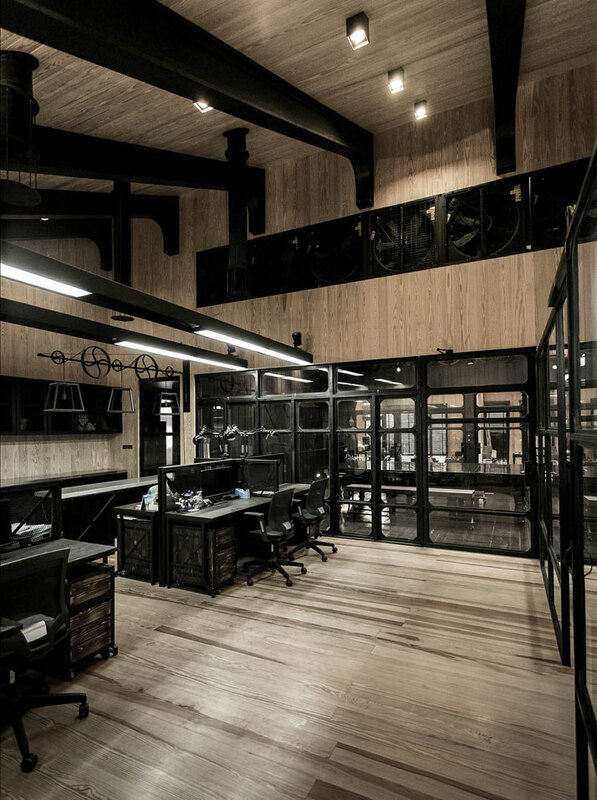 Bangkok-based design studio Metaphor has recently completed a new office space for a steelworks and construction company in the Suan Luang district of the Thai capital. 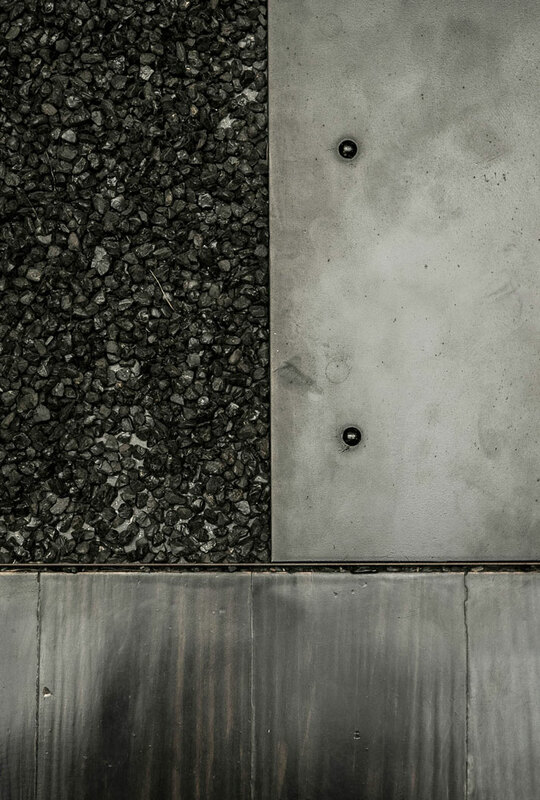 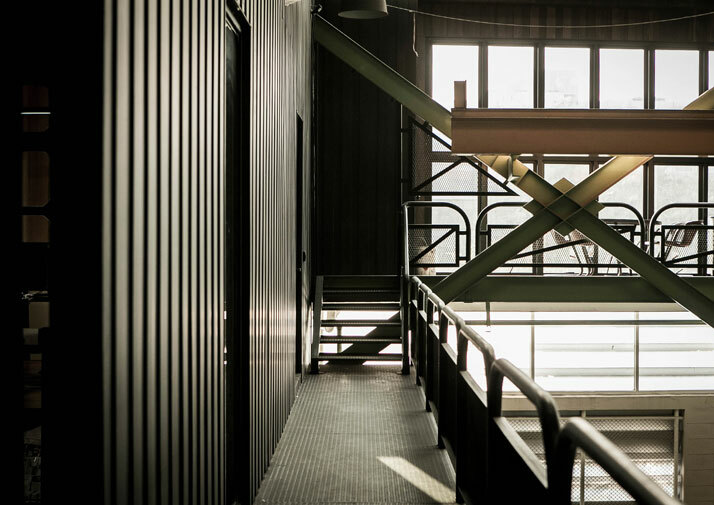 The project consists of the addition of a 400 square meter office space inside what was originally a steel factory, now partially used as a manufacturing unit for small metal parts and storage. 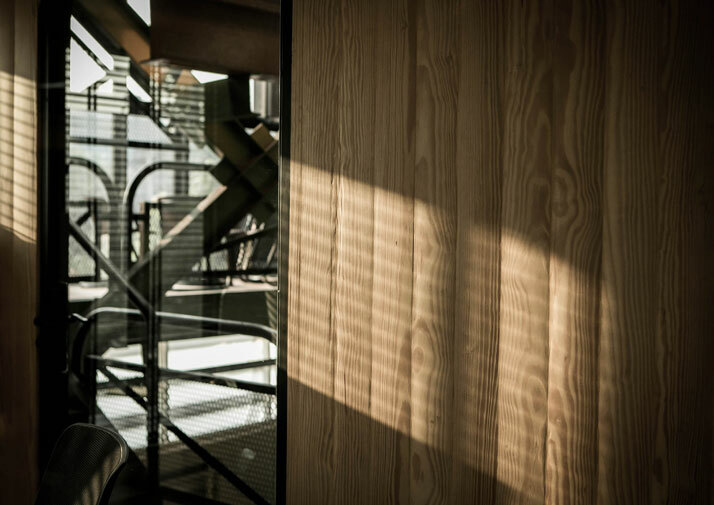 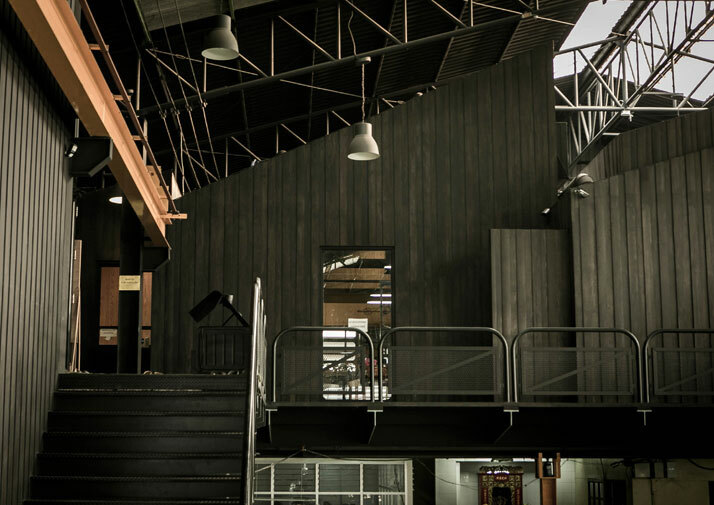 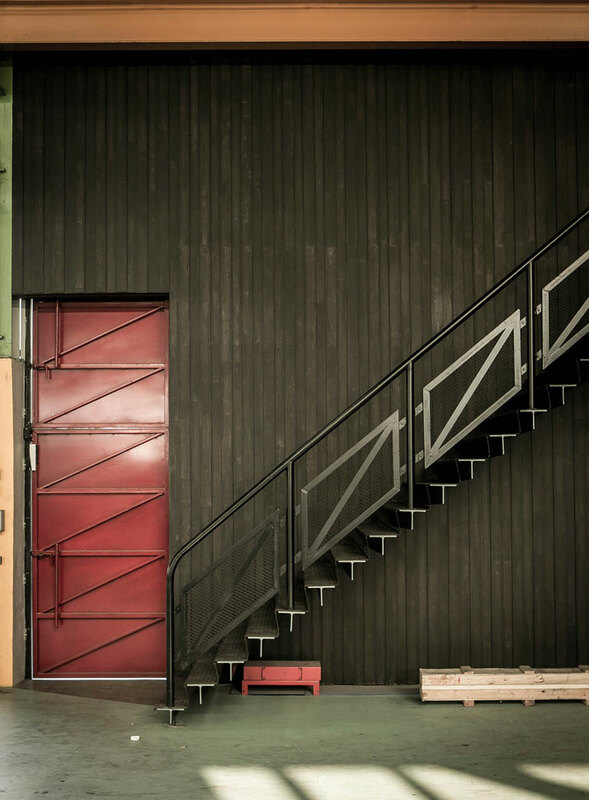 In order to separate the office space from the vast factory area, the designers created ‘a building within a building’, a wooden structure on the mezzanine floor that has a geometric, faceted appearance finished in a dark colour reminiscent of unpolished steel. 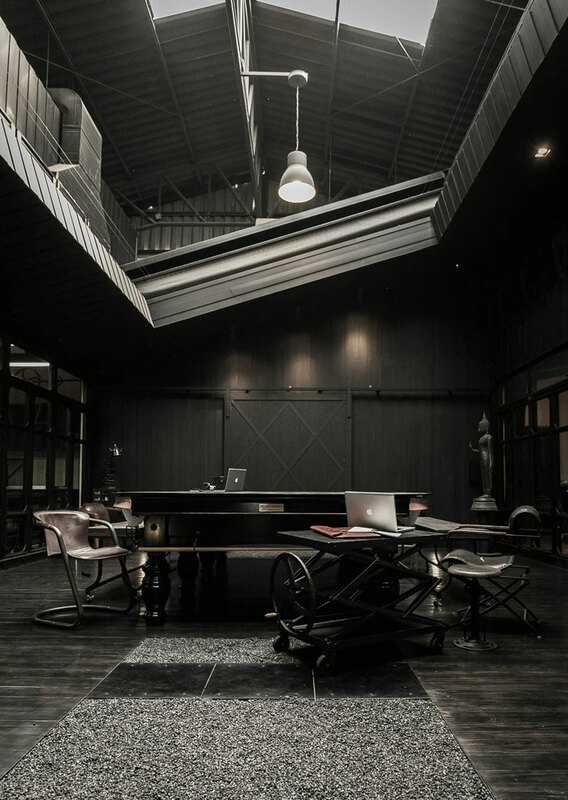 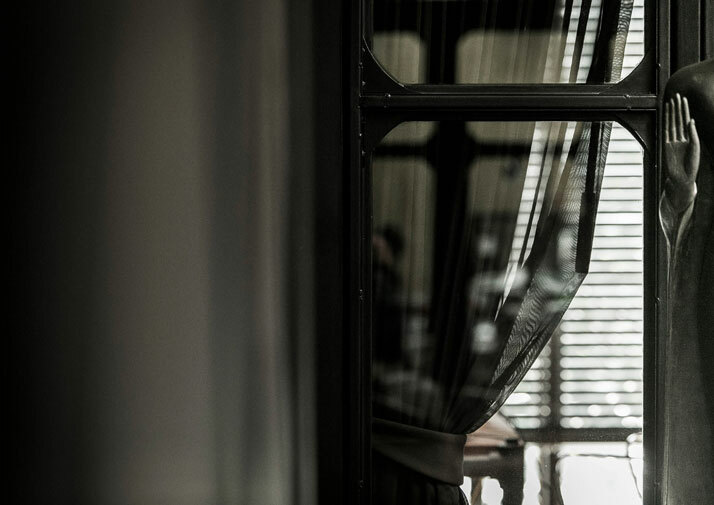 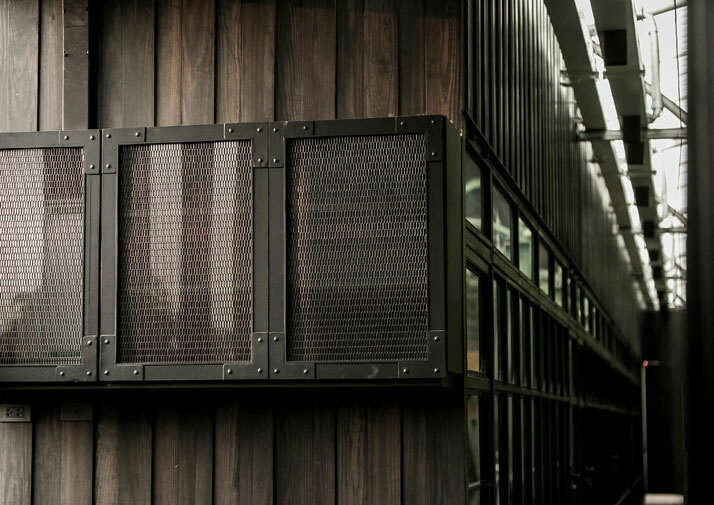 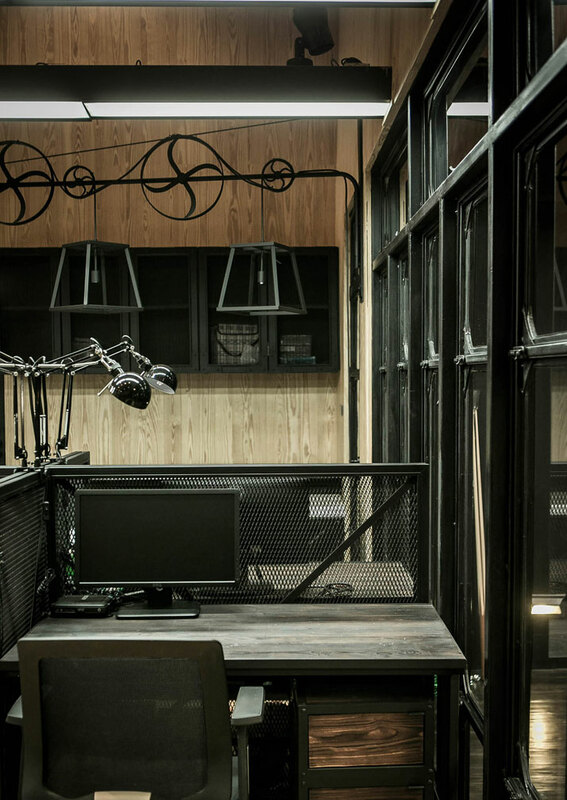 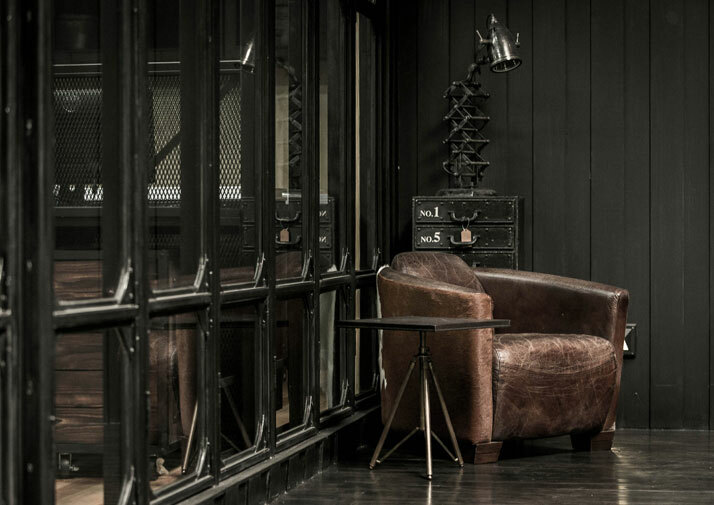 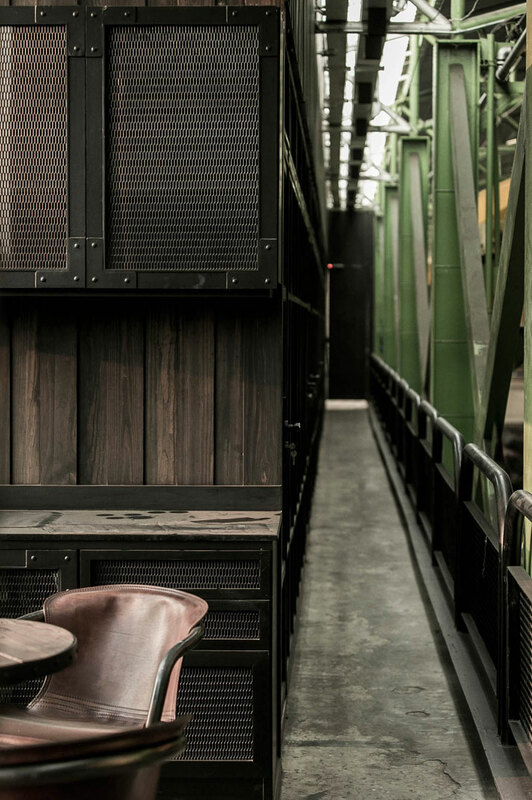 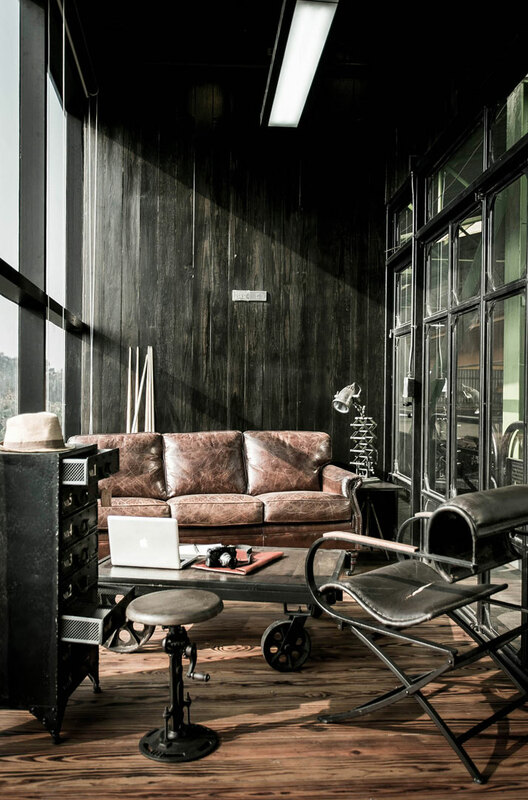 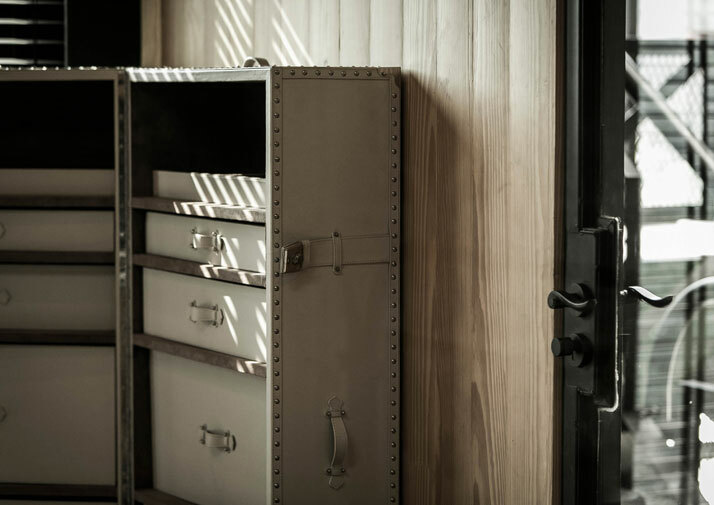 Inside the office, the dark and austere atmosphere (decorated in a style reminiscent of old industrial spaces) is somewhat softened by the use of natural wood on the walls and leather on the furniture, while new openings were created on the building’s outer shell to allow more natural light in. 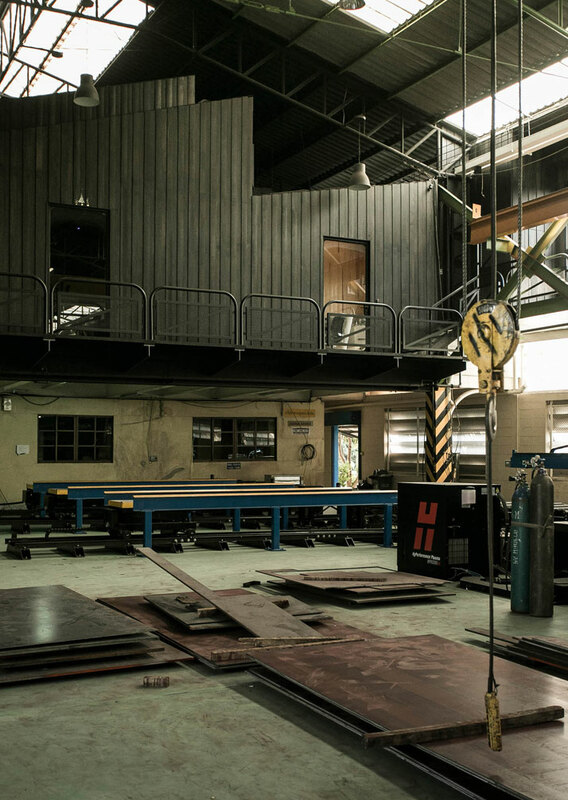 The rest of the factory facilities were kept intact, although some tasteful alterations have been made: for example, the massive rails of the factory’s overhead crane have been given a copper finish, thus transforming them into shiny decorative elements.